ESOMAR Foundation announced today that it has awarded its first capacity building grant to the MMSA. 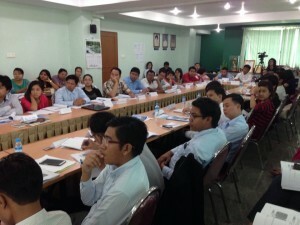 The grant, worth a minimum of €3000, is being used to fund a 5 day training workshop alongside MMSA in Myanmar. The objective of the grant is to share market research knowledge from all over the world with researchers in Myanmar. ESOMAR Foundation, founded in 2013, is the Foundation of the market, social, and opinion research sector channeling the expertise and resources of the sector to achieve social good. Through its funding programmes, the ESOMAR Foundation supports researcher families facing emergency situations, access to education on market, social, and opinion research, charities, and the philanthropic sector. Myanmar Marketing Services Association (MMSA) is the key industry grouping of local companies and agencies involved in the Myanmar marketing sector for decades. Its core aim is to build the main platform for local organizations to share knowledge, expertise and in-depth understanding of the Myanmar market and its consumers. This aligns fully with the objectives of ESOMAR Foundation’s Education Programme, which supports innovative projects that break down barriers and give a chance to the current and future generations of market researchers coming from all walks of life. 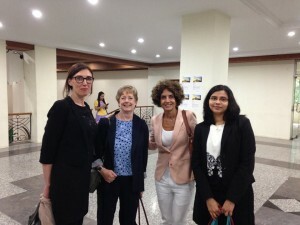 Both ESOMAR Foundation and the MMSA would like to thank the 4 volunteers who have given so generously of their time to make the training a reality – Anna Thomas, Silvina Neder, Anagha Kanhere and Phyllis Macfarlane. If you would like more information about this topic, please contact Kim Smouter at +31-20-589-7818 or email at info@esomarfoundation.net.